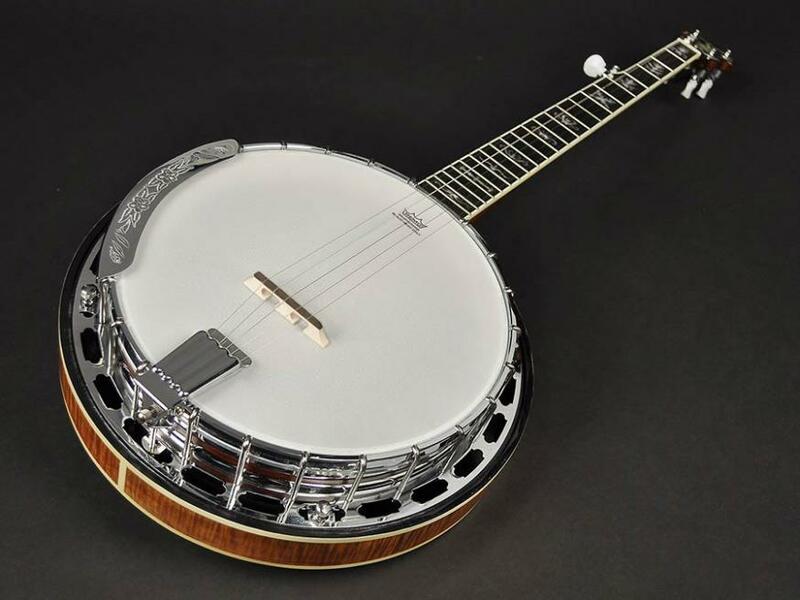 The pinnacle 5-string banjo in the Richwood Master Series banjo line. Solid maple rim, chrome plated bronze tone ring, chrome plated tension hoop, flamed maple resonator, 5-part neck, two coordinator rods, all features of a top quality instrument. This is the instrument that will put a permanent smile on your face!